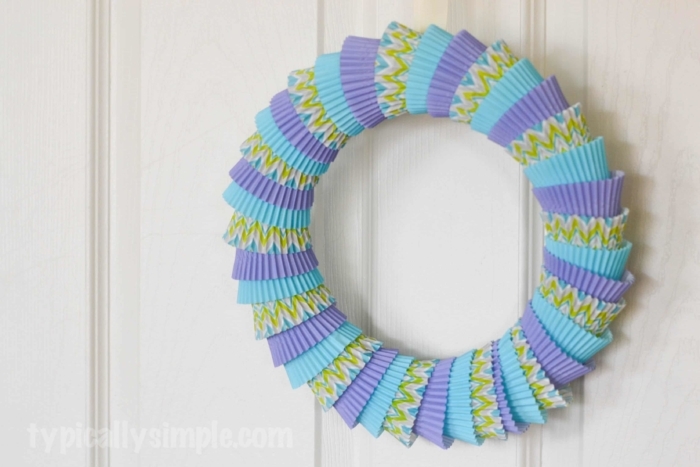 A simple craft using cupcake liners to make a bright, fun colored wreath! Use different colors and patterns for seasons, holidays, or celebrations! A few weeks ago, I went a little crazy buying cupcake liners (like 900 cupcake liners crazy) but they were all just too cute to pass up! The fun colors and prints will be so fun for cupcakes, but I also knew I needed to think of some fun crafts to make with them. 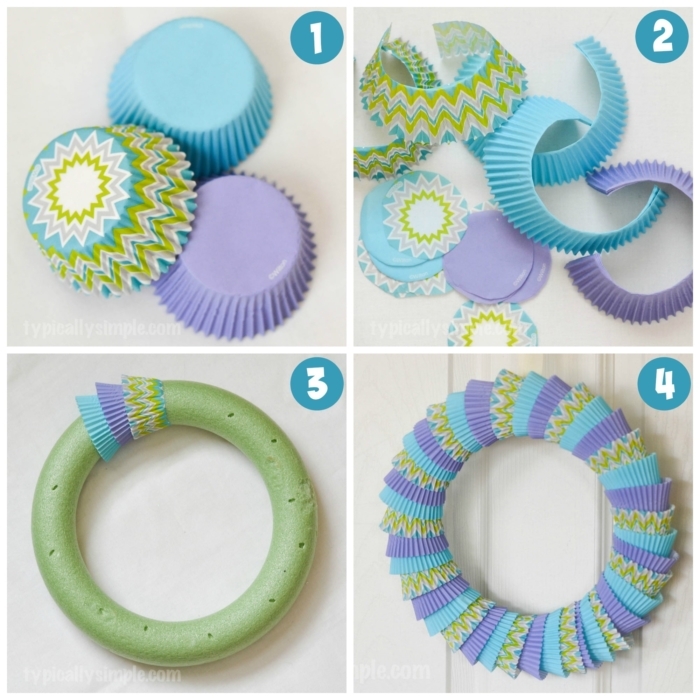 Cue the super cute spring wreath made of cupcake liners! Step 1: You will need about 40-50 cupcake liners to fill the wreath, maybe more or less depending on the size of your wreath form. Step 2: Taking about 8-10 liners at a time, cut the bottom from the sides. Step 3: Using a straight pin, attach the liner to the wreath form. I found the best way for this was to use one pin to hold the liner while wrapping it around the wreath, then securing it in the back with a second pin. Step 4: Keep adding cupcake liners until the wreath is filled. 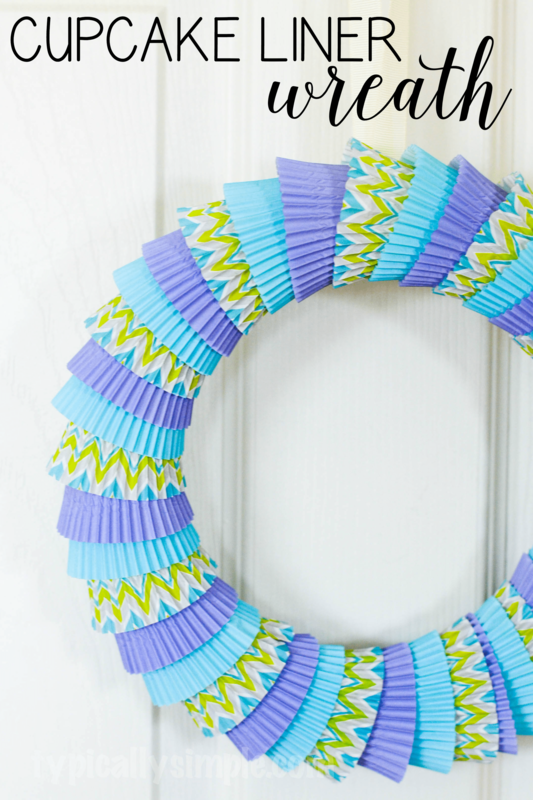 Attach some ribbon to the back and hang for a fun, bright spring wreath! I love the texture that the cupcake liners give the wreath and these colors are perfect for some spring decor in our house. 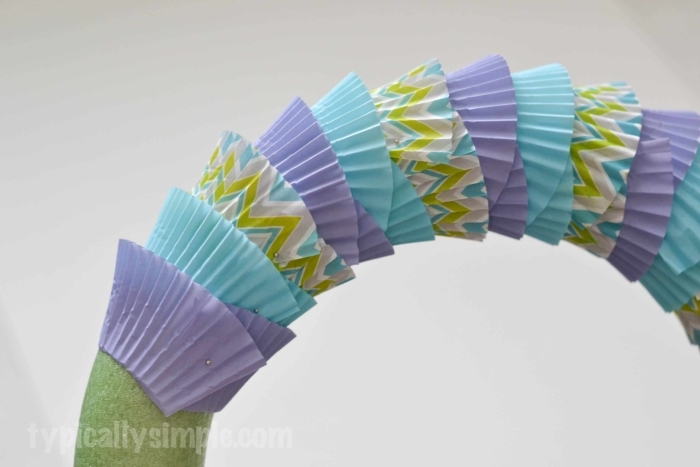 And how easy would it be to use different colors of cupcake liners for holidays or seasons!? I’m all about finding simple ways to add some seasonal decor to the house and this cupcake liner wreath was the perfect afternoon craft to do that! Looking for more crafty ideas to decorate your door? Be sure to check these out!